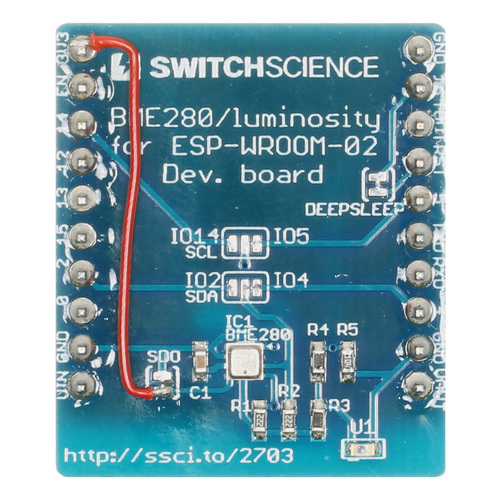 This is a sensor board to get temperature, humidity, air pressure, brightness for ESPr developer board. 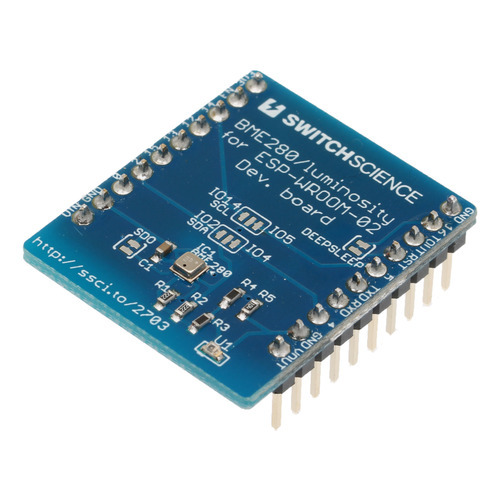 It is BME280 and photo transistor inclusive so you can get various environmental data easily. 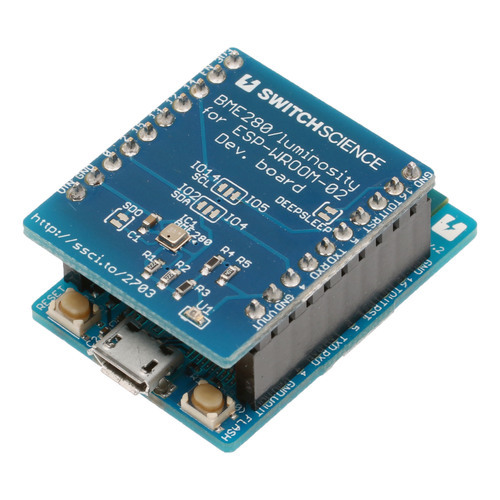 The pin header is soldered, so you can connect it to your ESPr developer right away. Or you can connect it through breadboard. Please be careful not to insert it on the wrong side. Also, please do not connect it deliberately on antenna of ESP-WROOM-02. 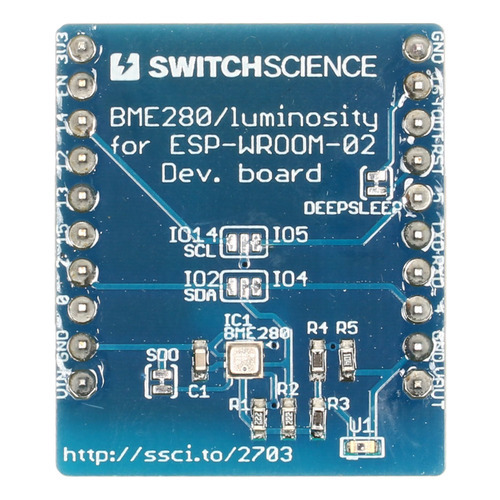 BME280 will connect to ESP-WROOM-02 by I2C. 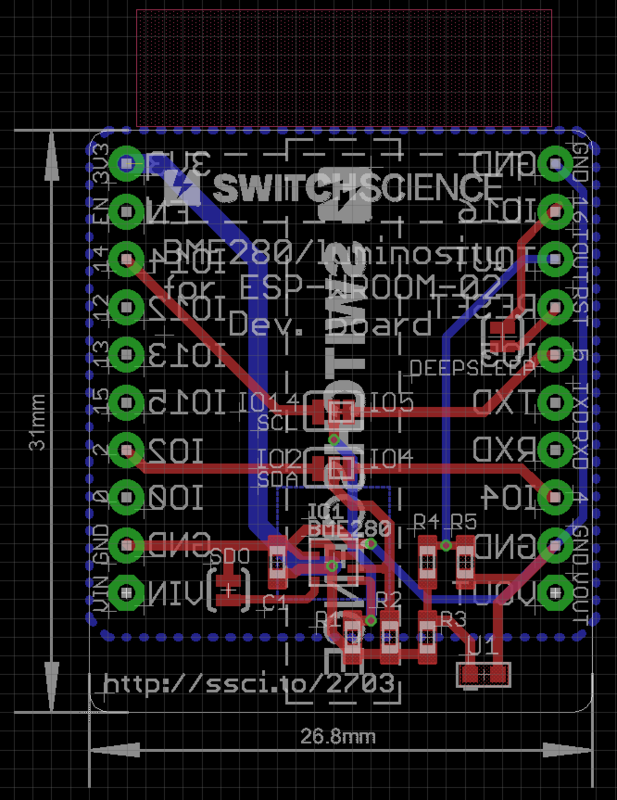 When you want to change I2C address, please cut the short jumper and connect 3V3 pin to lower pad of SDO. 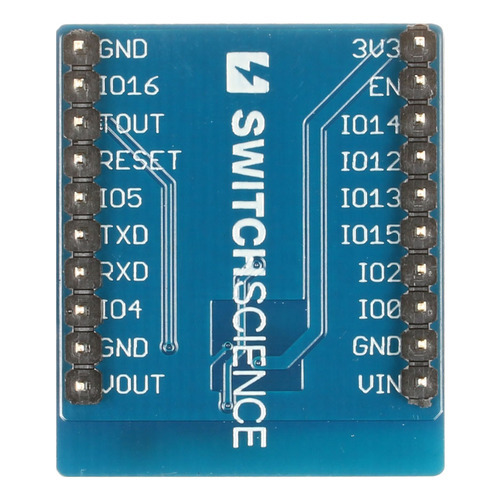 Please be sure to connect it to 3V3 pin because voltage of VIN pin might be above 3.3 V.
The voltage on photo transistor is converted to 0 ~ 1 V and then connected to TOUT pin on ESP-WROOM-02. When you apply analog input to ESP-WROOM-02, the front description on sketch must start as shown below. Temperature of ESP-WROOM-02 will rise due to continuous use, therefore your data might not be accurate. Please be advised to use DEEPSLEEP for sampling action and refrain from overheat. Short jumper DEEPSLEEP is connected to IO16 and RESET. If you are thinking of using IO16 for different matter, please cut the short jumper.